In August, NIOSH announced its intent to re-evaluate its recommended exposure limit for inorganic lead. As one of the earliest known occupational hazards, lead has long been a focus of national and international organizations responsible for setting occupational exposure limits. 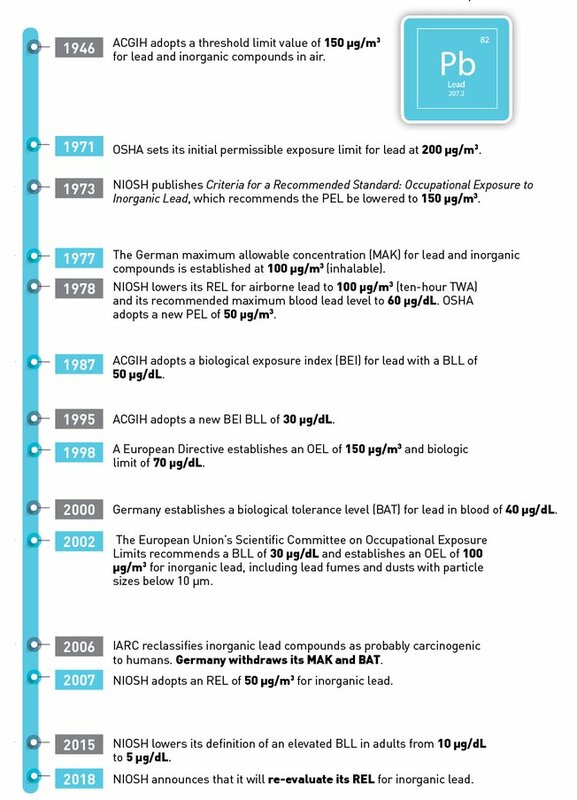 The following is an abbreviated timeline of OELs and blood lead levels for lead. Except where noted, all OELs are eight-hour time-weighted averages.